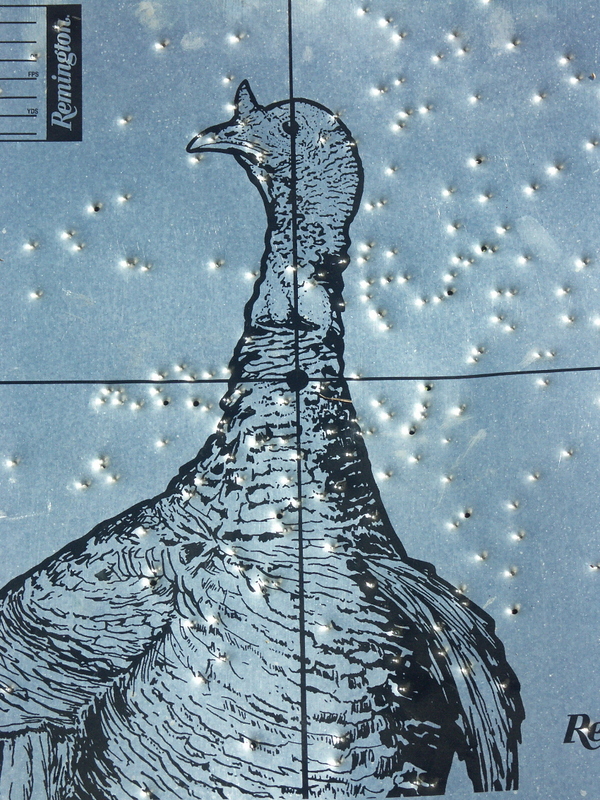 While is it fun to use different guns, calls, and accessories to hunt turkeys; successful hunts can be done with only a few pieces of basic equipment. While it appears that everyone is trying to sell turkey hunters everything, this sport can be done with relatively few pieces of basic equipment as I did the second day of Georgia’s turkey season. 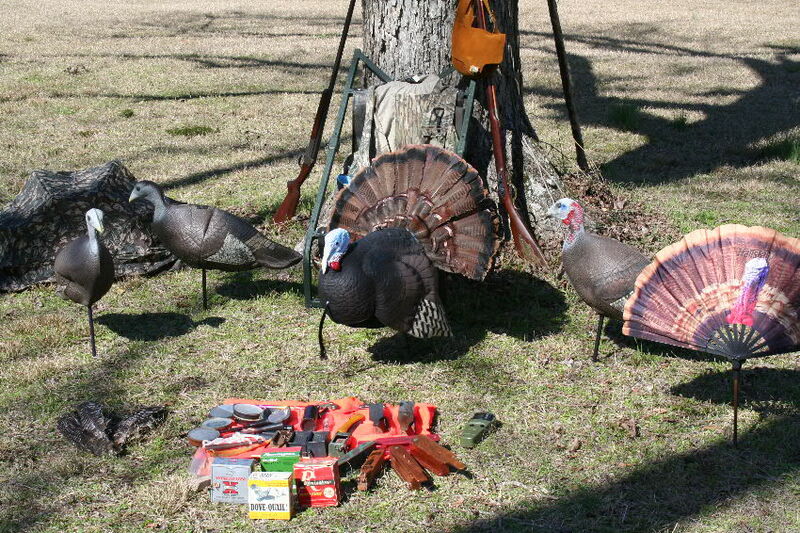 Not so many years ago turkey hunting was done by a man with a gun and a homemade call. That was all. More successful results will be obtained using calls that work in wet and dry weather, using decoys and by wearing camo clothing. These few things and a few tools will get the job done. I describe these in an 8-minute video that I have posted on Youtube. The address for this is http://www.youtube.com/watch?v=kP2LjiKL33g . The brief video that follows shows the bird and explains how it was shot from a blind at about 5:45 PM on a wet-weather day. If you have trouble viewing in here, it is also posted on YouTube as well as a follow-up one on cleaning and cooking wild turkeys at http://www.youtube.com/watch?v=MDap_ElSlRI. Patterning is a vital part of pre-hunt activities. A key to success is to pattern the gun with the load that you are using so that you know what your sure-kill range is. With the antique 12-gauge Stevens Long Tom that I used with 1 1/4-ounces of no. 6 shot lead shot, that range was 30 yards. I also found that I needed to aim at the turkey’s head as the bulk of the charge struck about 4-inches low. You can purchase some very expensive turkey loads. Chances are that some of your older relatives or friends have some 12-gauge 2 3/4-inch 1 1/4-ounce lead duck loads with no. 4 or no. 6 shot that they can no longer use for waterfowling now that non-toxic shot is mandated. These will do just fine. I fire about six rounds a year. A couple are shot to sight in the gun and I take four hunting. This is almost always enough to shoot two turkeys and the occasional rattlesnake. Turkey hunting offers more psychological benefits that meat. This is a time to spend a half-day (few can hold out longer) looking and trying to out-wit these cagey birds. This gets a person out of the house, away from the pressures of every-day life, gives some healthy exercise and may provide a successful hunt. Even for experienced hunters it often takes from 7-14 trips to bag a tom. Many more turkeys will answer the call, or be seen. than shot. The key is to be persistent. The more time that is spent in the woods the greater the probability of success. I provide complete cleaning and cooking instructions in my book, “Backyard Deer Hunting: Converting deer to dinner for pennies per pound” if you are wondering what you do with a wild turkey after you kill it. The short answer is that you EAT it. 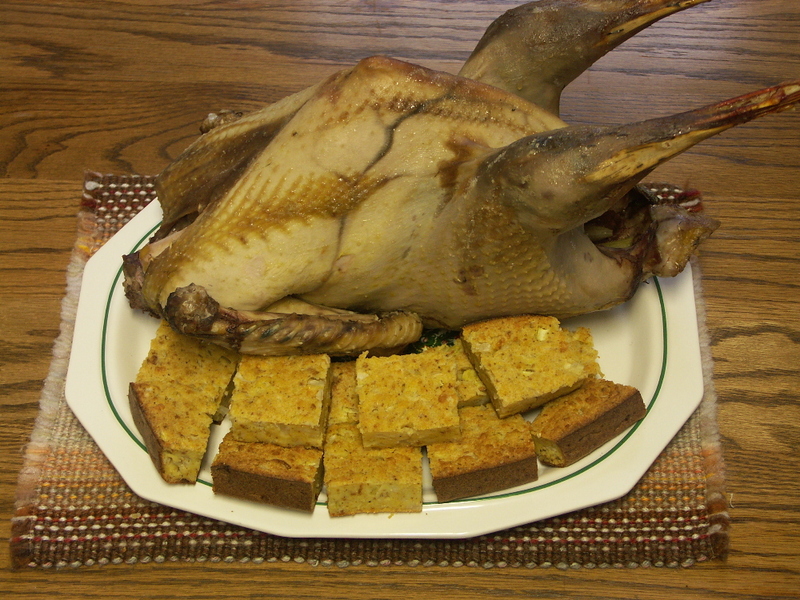 A roasted wild turkey with cornbread dressing on a Christmas platter. The end result of a successful turkey hunt.